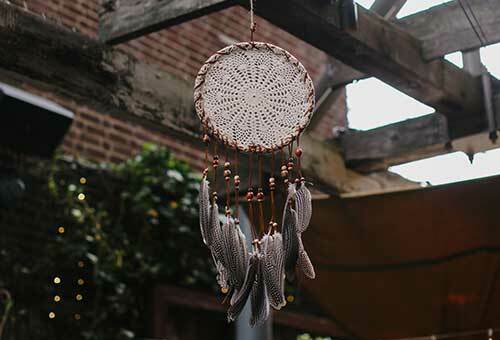 The Dreamcatcher baby shower was inspired by the parents-to-be's trip to Sedona, Arizona where they fell in love with the tribal elements. 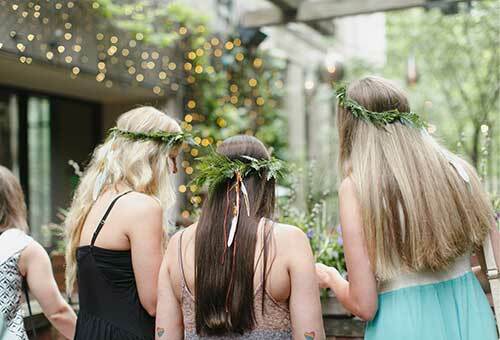 The Dreamcatcher baby shower theme is beautiful because it is timeless and gender neutral. The theme for the paper was Dream Big Little One. 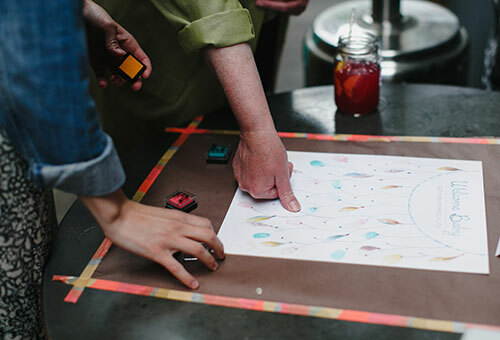 The activities and details that went with the theme were amazing. 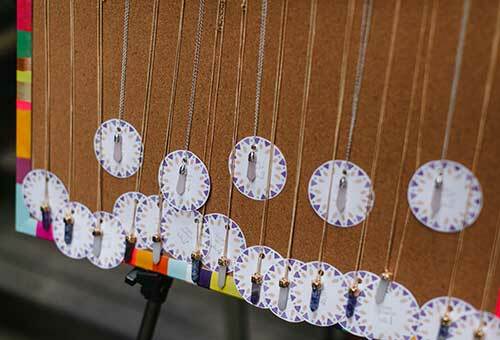 They had a Dreamcatcher thumbprint guestbook, feather decorating station, tribal temporary tattoo station, and pendant necklace place cards. 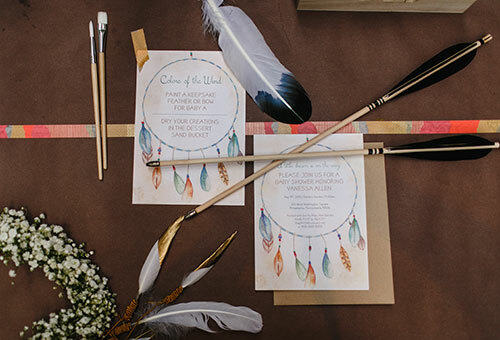 The Dreamcatcher thumbprint guestbook is available in the Hand-Painted Weddings shop, and the Dreamcatcher baby shower invitation is available on our sister site, Hand-Painted Life. 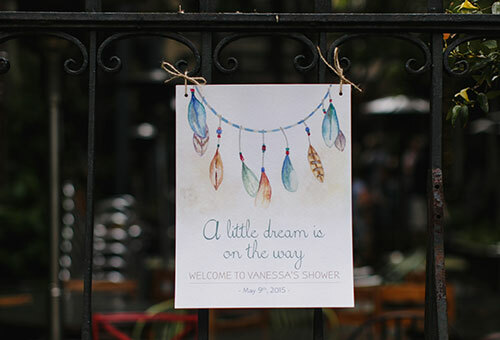 Read the full Dreamcatcher Baby Shower feature on Hostess with the Mostess here.